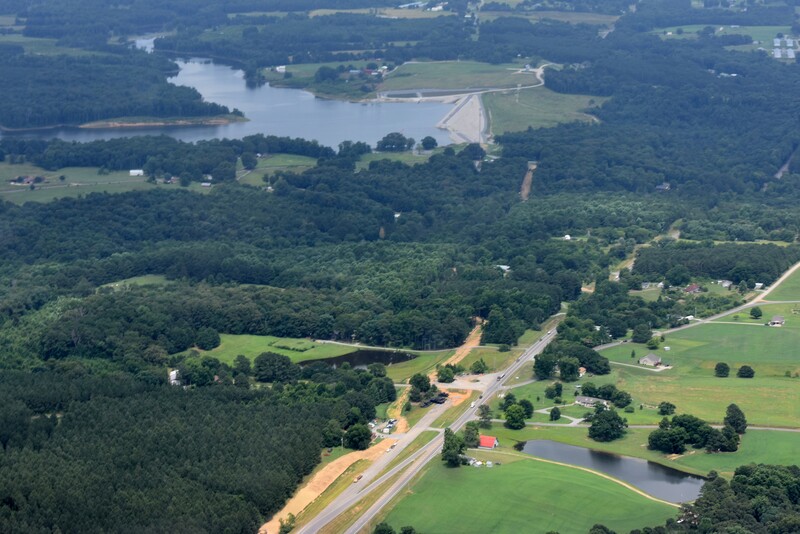 CULLMAN – On Tuesday, July 17, the Utilities Board of the City of Cullman will officially open the Duck River Reservoir to recreational activities, including boating and fishing. Utilities Board Manager Mike Manning told The Tribune that 22 miles of trails around the reservoir will officially open, and that the reservoir itself will be open for pier fishing and to boats and watercraft of 25 horsepower or less. Channel Catfish – no limit. This is a young population that is considered not large enough to catch, yet. Scott insisted that, because the lake and its fish populations are still maturing, fishing limits will be strictly enforced. St. John & Associates’ plan included provisions for picnic pavilions, primitive camping sites and interpretive signage along trails. According to Manning, these are possible future developments not included in the current stage of development. The Tribune toured the route of the Duck River Reservoir pipeline by air and road, and since then has been speaking to people involved in various portions of the project for an update on progress. “The pipeline is about 68 percent complete and, as far as the schedule goes, we are about 270 days elapsed on the schedule. And it’s supposed to be complete in November–mid-November–so we’re actually a little bit ahead of schedule. According to Dawsey, construction has not been straight through from the water plant to the reservoir. During the wet past winter, crews worked in the driest areas, then, with the onset of warm weather, have gone back to fill in the gaps. The pipeline project will end at County Road 1640 on the western side of the Duck River Dam, where a separate project will construct a pumping station to move water from the reservoir via the intake tower just north of the dam. From County Road 1640, the route of the pipeline runs to the southwest where it reaches U.S. Highway 278 in the Oak Level community, near the intersection of the highway and County Roads 781 and 1635. At that point the most visible evidence of the pipeline project can be seen along the north side of U.S. Highway 278, where construction crews are currently laying pipe. The line crosses south of the highway before reaching Berlin, where a stretch of County Road 735 got freshly repaved after pipe was laid beneath it. From there, it works its way to the south side of the water plant. When complete, the pipeline will be capable of transporting 24 million gallons of water per day, matching the approximate existing flow rate at the plant. At normal rates, the reservoir pipeline will double the amount of water available to the city water plant. According to Dawsey, this will not double the amount of water coming out of the plant to the city but will act as a backup to the existing system. The pump station, which will be located on the southwest (downriver) side of the dam and will move water from the reservoir to the water plant via the pipeline, will go to bid soon. According to Manning, construction is expected to take up to a year after that. Water is expected to begin flowing sometime in the latter part of 2019. In 2017, after the Duck River Dam was found to be leaking well beyond allowable limits into the dam’s gallery where electronic equipment is housed, the City began investigating the cause. ASI Constructors, Inc., who built the dam, blamed the leakage on a faulty design, while designer CH2M Hill Engineers, Inc. blamed faulty construction. Cullman filed suit against both, not to seek a financial settlement, but to determine the responsible party and make them cover the repairs. According to Cullman Economic Development Agency Director Dale Greer, the City is still awaiting a judge’s ruling in the case. For more on the lawsuit, see our previous story at www.cullmantribune.com/articles/2017/07/28/cullman-utilities-board-files-suit-against-duck-river-dam-engineers-construction. For an earlier update and general overview of the reservoir and dam projects, including a link to the original St. John & Associates recreational use plan, see our story at: www.cullmantribune.com/articles/2017/08/08/deeper-dive-duck-river-dam.